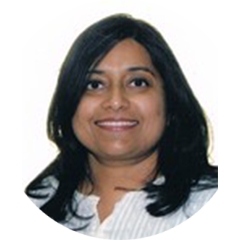 Dr. Ajin completed her Bachelor of Dental Surgery 19 years ago from Kuvempu University, India and has been fulfilling the needs of her patients as a General Dentist since then. Dr. Ajin's interest in giving the best care to her patients prompted her to complete a Masters in Periodontics from India. She was awarded the best presentation AWARD during her Masters. Fill out the form and we will contact you during our working hours. If you have a dental emergency, please call 905-878-8760. Urgent care is provided usually the same day.